Make Buffalo NY Your Niagara Falls Region Destination! Buffalo is known as the "Gateway to Niagara Falls" because the city is such a short distance from the natural wonder (just 25 miles). 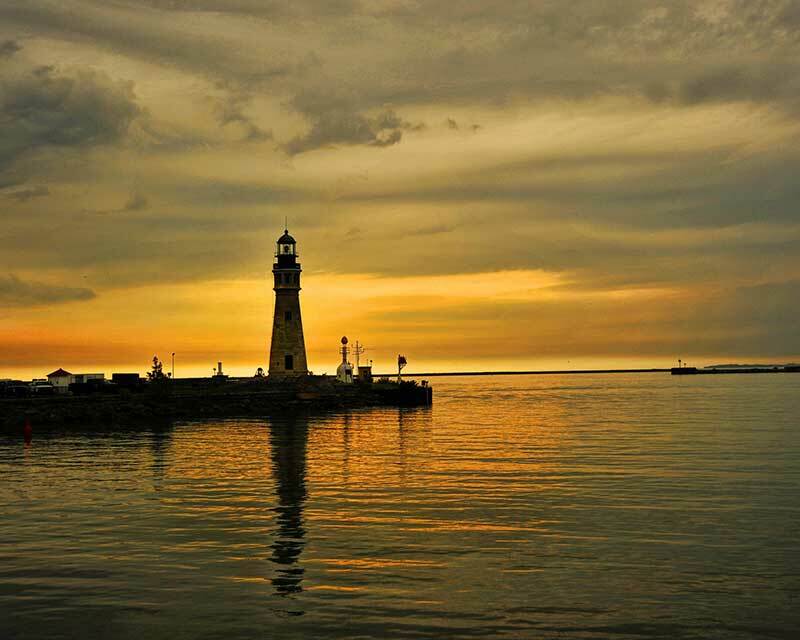 With the Falls being so close and with plenty of great places to stay and dine, it makes sense to stay in Buffalo, NY. Plus, there's an abundance of activities and culture to experience in Buffalo that's often overlooked. Visitors who experience the art and theatre culture that is widespread throughout the region are often surprised by its diversity. Buffalo's thriving Theatre District is jam packed with great theatre halls and top-notch performers of all types. With the abundance of performing arts, along with several museums and art galleries, it's no wonder why Buffalo is celebrated for its rich cultural expression. Not only is Buffalo popular for its social culture, but sports fans from all over New York State and across the nation congregate in Buffalo year round to share in the great sports culture of the region. Home of the great Buffalo Bills, Buffalo is perhaps most noted for its football presence, but the region also offers an array of other sports entertainment, including hockey, baseball and lacrosse. Whether looking for a night out on the town or just grabbing a bite to eat after the game, there is an abundance of great restaurants in Buffalo, catering to all preferences. Visitors looking for a great location for a family outing should try the Buffalo Zoological Gardens, one of the oldest zoos in the nation. There are over 1000 animals of all kinds on the premises along with scenic gardens and the animals' natural habitats. So come sneak a peek at the wide range of animals from lions and tigers and bears, to zebras and monkeys and snakes! Buffalo has its own airport, so visitors from all over the nation can fly right in and stay at one of the many great Buffalo hotels.